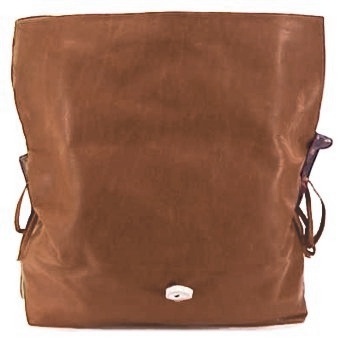 This is the large version of our Misha handbag. 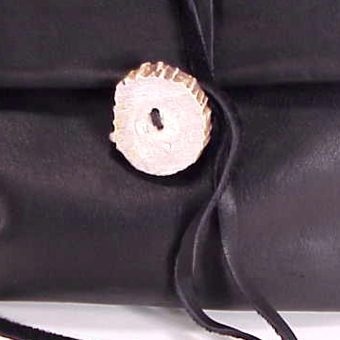 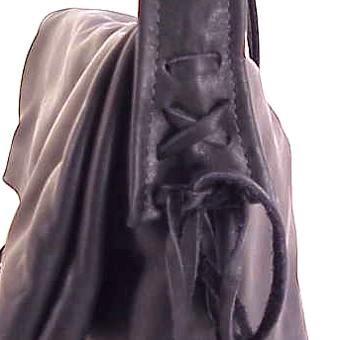 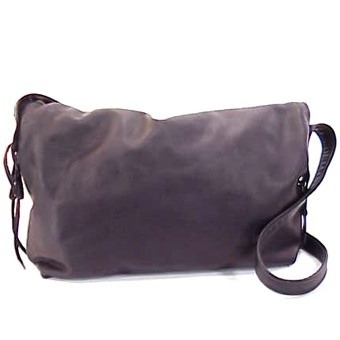 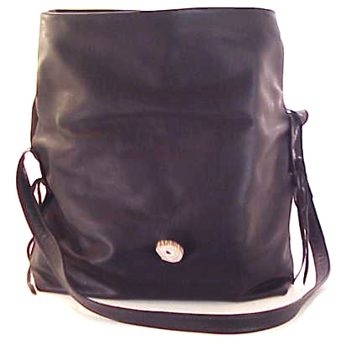 It is made from soft fine grain leather. 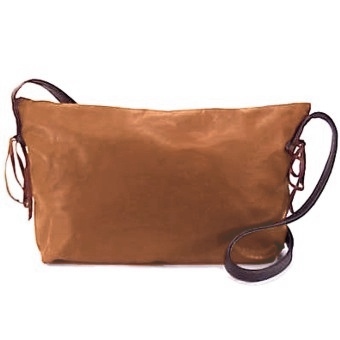 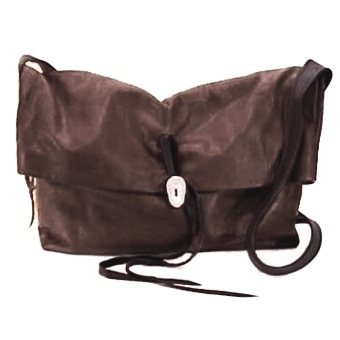 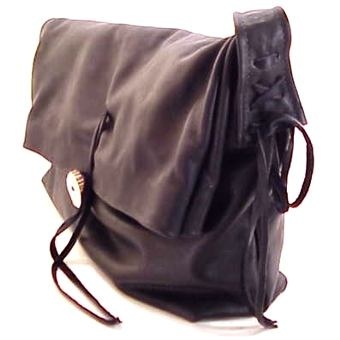 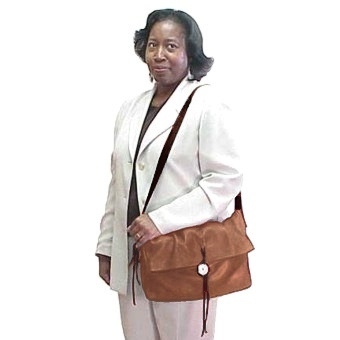 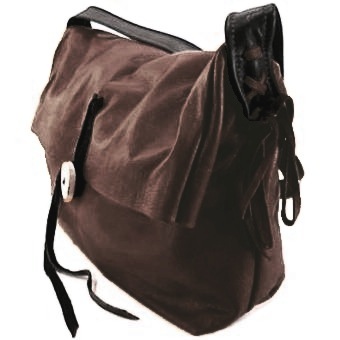 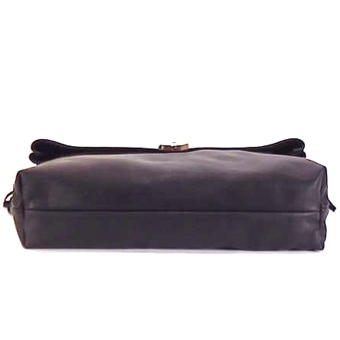 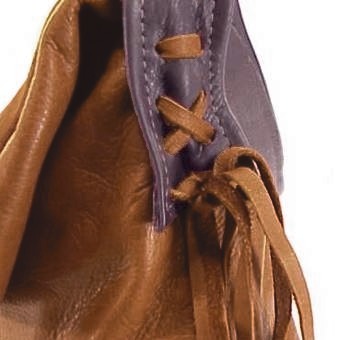 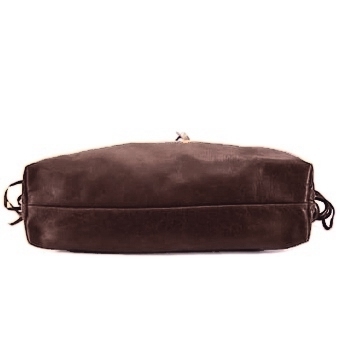 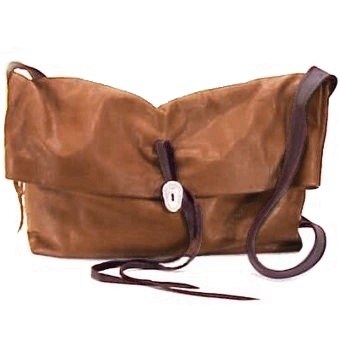 The handbag is designed with one roomy pouch, the top folding over to close. 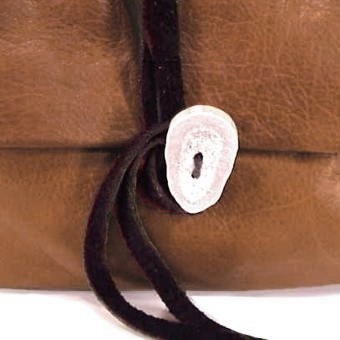 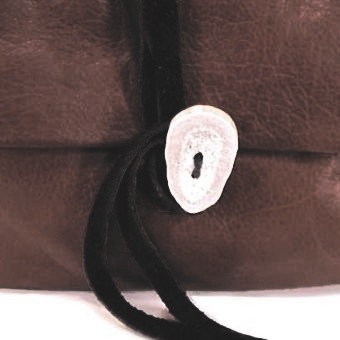 It is accented with leather ties on the straps and an antler button and tie closure. 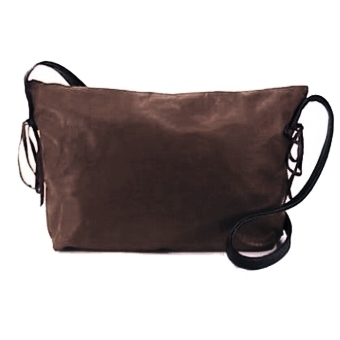 A retro kind of feel with an elegant touch, the Misha is so versatile it could go on a long weekend get-away and back to the office.